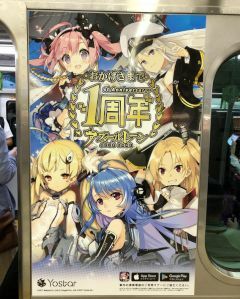 In September and October 2018, there were Yamanote Line trains decorated by Azur Lane characters for the 1st Anniversary of the game Azur Lane. 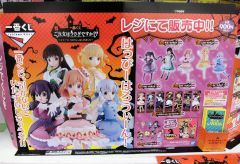 In the middle of September 2018, the Gochi Usa ichiban kuji went on sale. 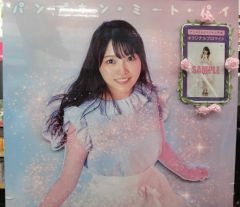 At the beginning of September 2018, there was an advertisement display with a large pop near the front of Animate for the first album by Asakura Momo. 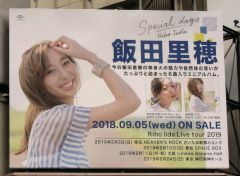 At the beginning of September 2018, there was a large advertisement on the corner of Chuuou Doori for the latest mini album by Iida Riho. 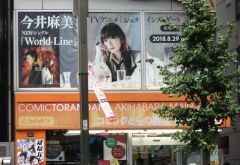 At the end of August 2018 and beginning of September 2018, the second floor windows at Toranoana had advertisments for the new single by Imai Asami. 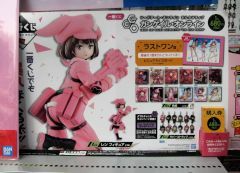 At the beginning of September 2018, the ichiban kuji for Gun Gale Online went on sale. 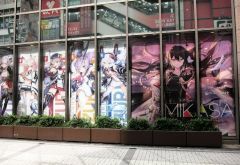 Between September 1 and September 14, 2018, there was a collaboation at Atre Akihabara for the game Azur Lane. 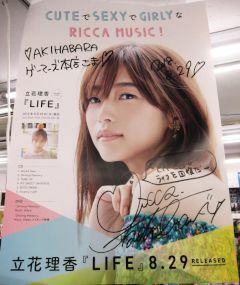 At the end of August 2018, there was a signed poster on display at Gamer for the mini album by Tachibana Rika. "Life" went on sale 8/29.